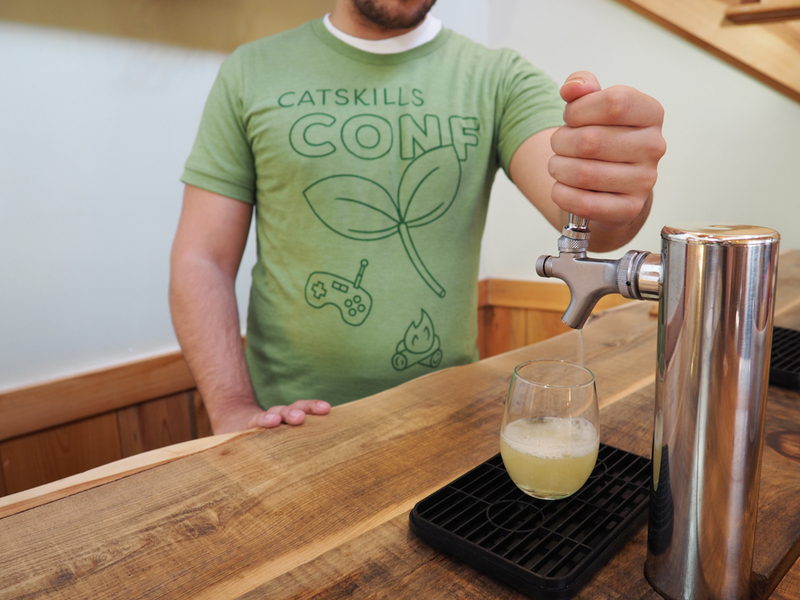 Catskills Conf is a gathering of Technologists and Creators at a retreat in the foothills of the Catskill Mountains. 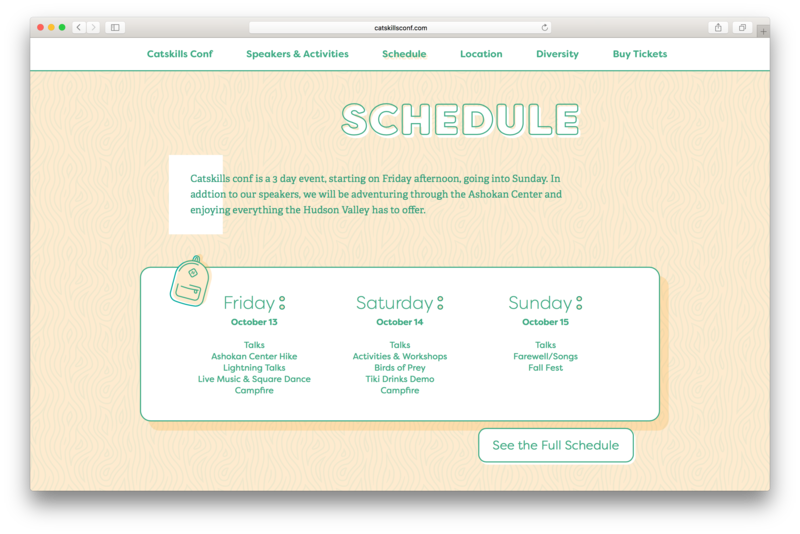 The goal is to bring people together to be inspired by a diverse program and the landscape of the Hudson Valley. It's a truly unique experience that aims to energize and motivate all attendees. 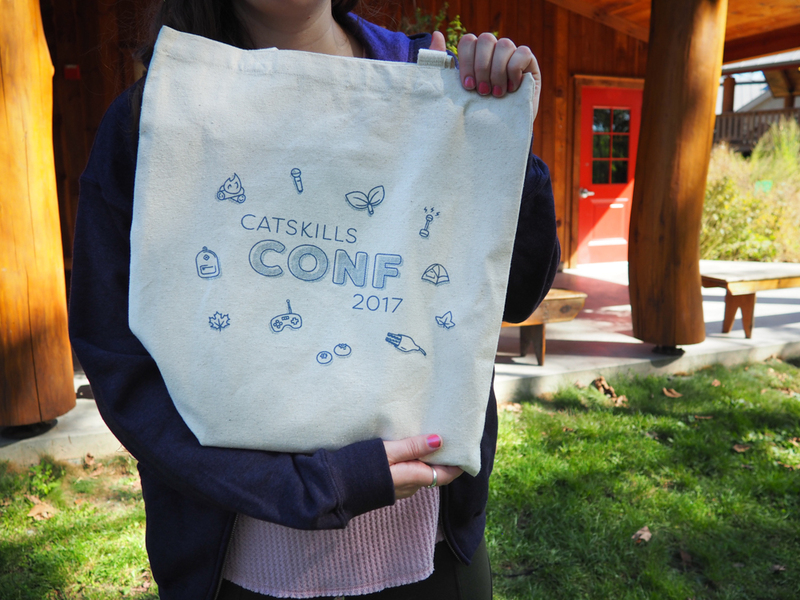 Every year a different designer is chosen to brand Catskills Conf, and I was given the honor for 2017. 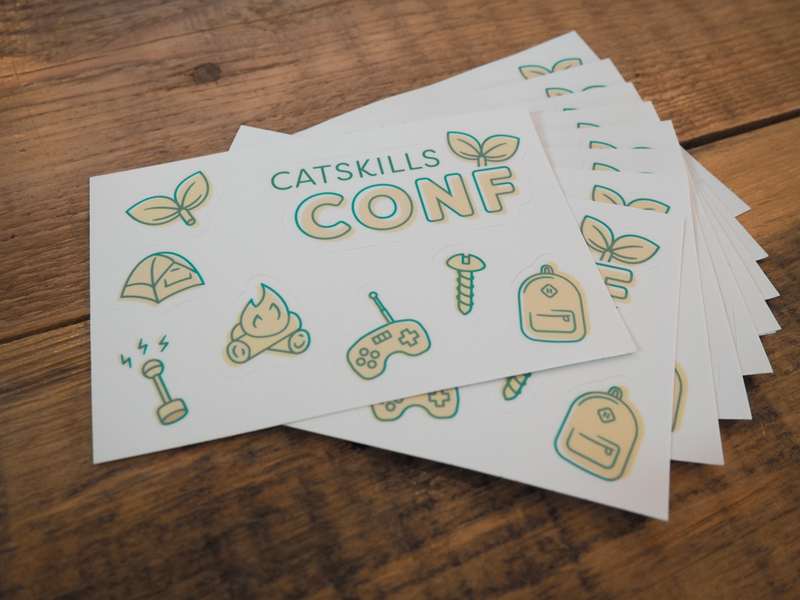 Catskills Conf focuses on both cutting edge technology in its talks and older technology, like letterpress and blacksmithing, in its activities. The overall experience is welcomeing, relaxing, and incredibly fun. 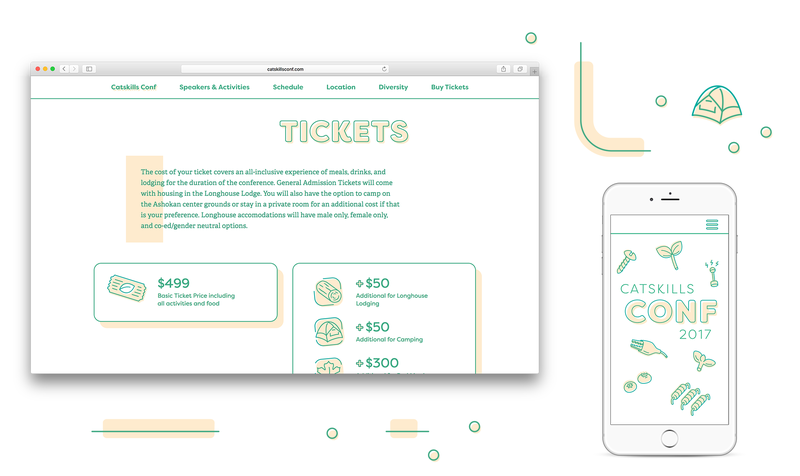 These are the primary aspects of the conf that are presented through the brand. 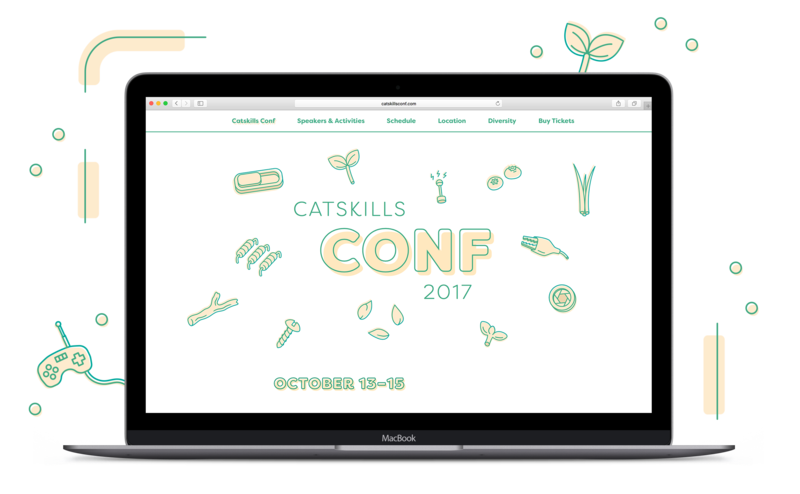 Catskills Conf is a diverse blend of technology of nature, which made it incredibly difficult to represent exactly how what the conf is. It was important to express this in the brand, so icons became a very important piece of the identity. The ability of icons to represent something bigger than themselves as well as representing small parts of a whole was the perfect solution to defining something otherwise visually indescribable. 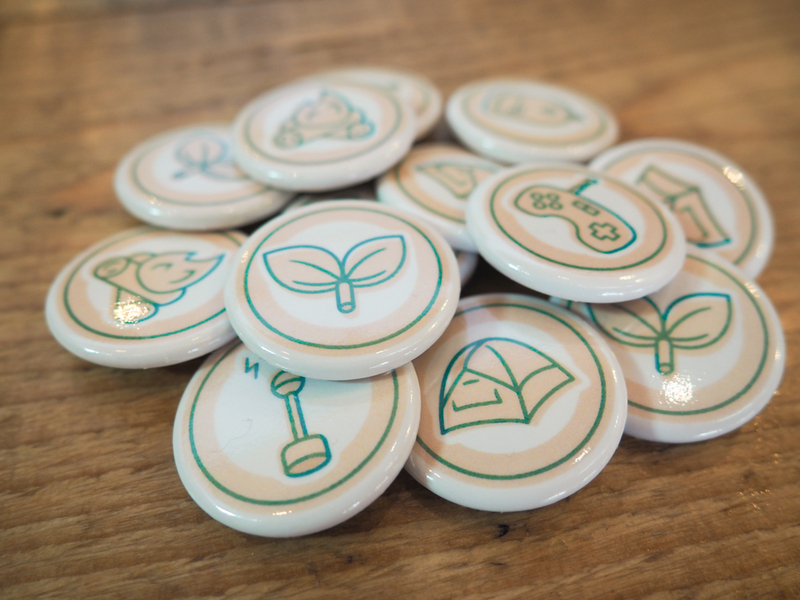 To further personalize the design, each speaker was asked beforehand what their favorite leaf was, and these were made into small icons that were displayed with the speaker’s headshots on the website. The website was the first deliverable and one of the most imporant pieces of the project. Before the conf it was main source of information about the event and was vital for sourcing sponsors and partner companies. During the conf it was an easy way for guests to find the schedule. 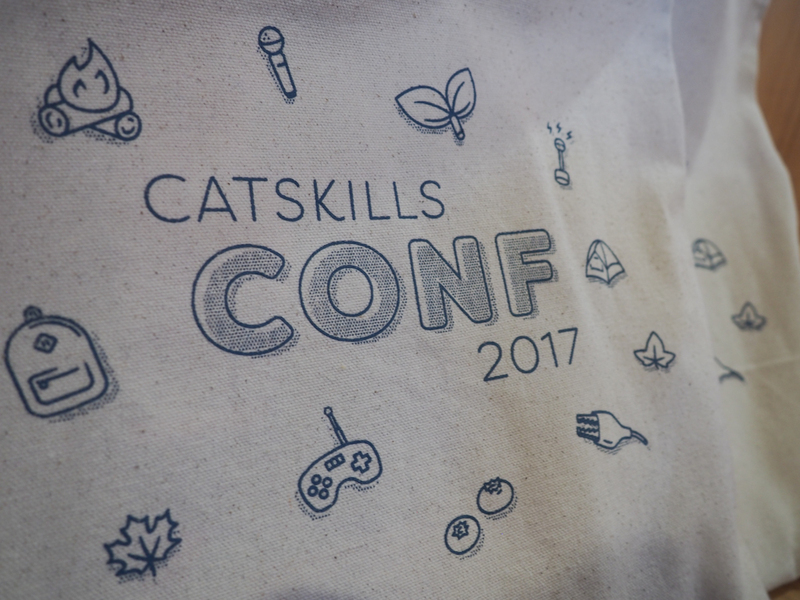 After, it works as a record of Catskills Conf 2017. Conference merch is always exciting to recieve and fun to share after! 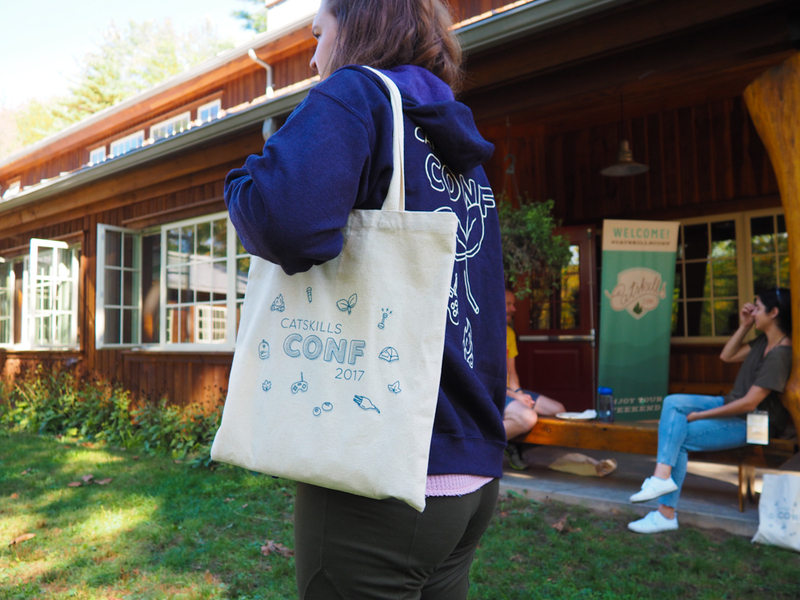 The icon-heavy brand leant itself perfectly to stickers and pins, and were delivered in screenprinted canvas bags with other fun things like notebooks and colored pencils. 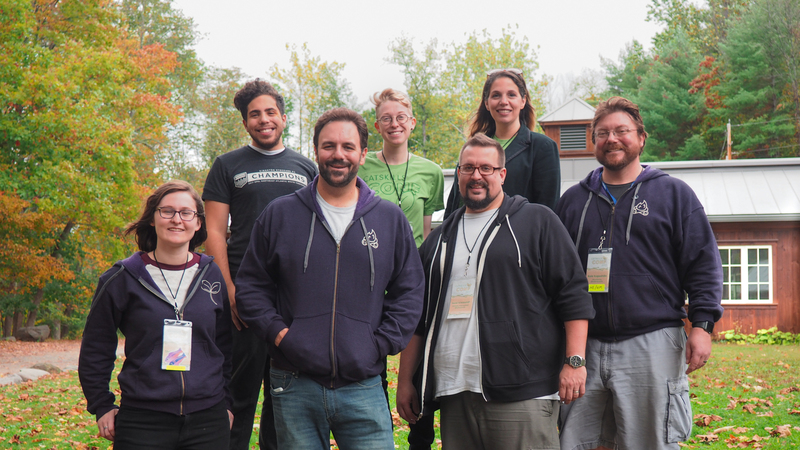 Because Catskills Conf is in October and involves lots of outside activities & nights around the bonfire, it's tradition to give guests branded hoodies instead of t-shirts as most conferences do. 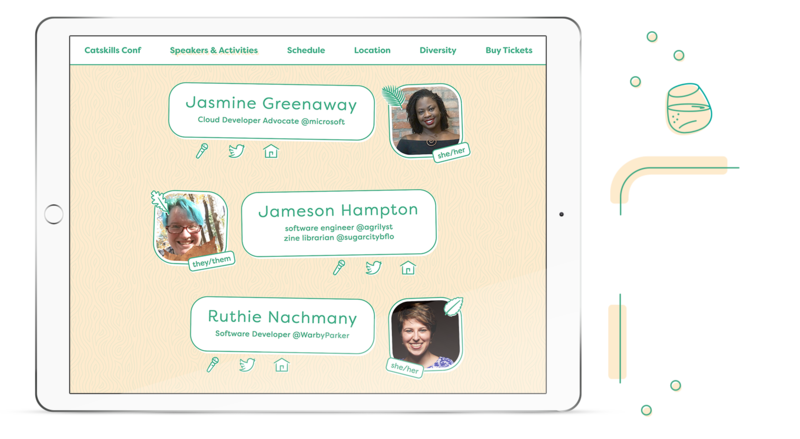 T‑shirts are reserved for organizers and volunteers so guests can identify who to go to with a question.